Popular local music groups Tribali, The Brass House Unit and artist Ozzy Lino will be giving live performances at St George’s Square in Valletta on Saturday 15th December. This performance forms part of ‘L-Aħħar Festa’, Valletta 2018’s celebrations marking the end of a successful European Capital of Culture year, during which more than 400 cultural events were held. The event kicks off at 6.30pm. The Big Dancers, Moveo Dance Company and the Valletta 2018 Chorus will also be performing on the main stage. Mireille Bonello and Svetlana Muscat will be hosting the show on the night. While performances begin at 6.30pm, the official closing event kicks off at 4.00pm with a fringe programme, offering a roundup of the year with performances and installations from some of the projects in Valletta 2018’s Cultural Programme, happening in the city’s main streets. These include an installation by Magna Żmien, an interactive dance performance called Ballroom by ŻfinMalta at Is-Suq tal-Belt, a performance by citizen orchestra Mewġa Mużika, an installation inspired by the Latitude 36 project and organised by the Ministry for Foreign Affairs and Trade Promotion called Sempre Viva, and a retrospective of the AiR programme in collaboration with Spazju Kreattiv. The streets of Valletta will also see a multi-site interactive installation called Memory Wall which will see highlights from the Valletta 2018 Cultural Programme reinterpreted by various artists in diverse media. The installation will be spread across Valletta. Valletta will then be officially commemorating the European Capital of Culture at St George’s Square, at 8pm. 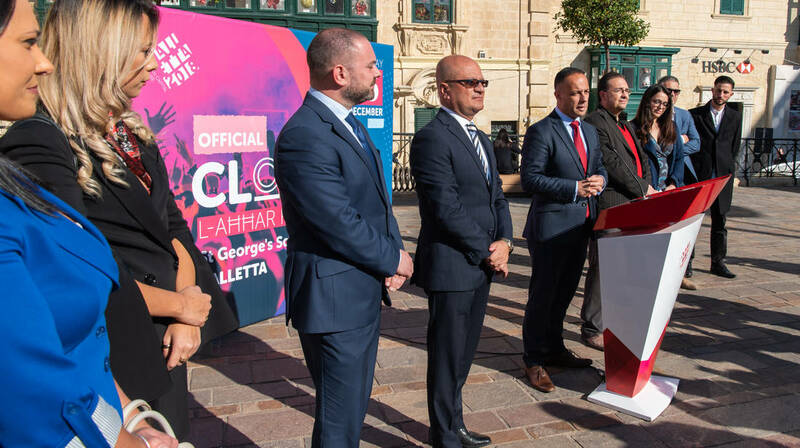 Valletta 2018 Foundation Chairman Jason Micallef said that, “In 2018 we successfully executed the largest cultural program that our country has ever seen, with more than 400 cultural activities which benefited thousands of people including families, children, elderly persons, persons with special needs, members of various communities, artists and many others. During the Valletta 2018 Official Closing we will be celebrating this success, by reliving several projects which had a positive impact on many people, and which will surely remain an integral part of Valletta 2018’s legacy”. He said that “the Valletta 2018 Official Closing will not just be the end of this special year but will also mark the start of another year of work to ensure that Valletta continues to grow in the cultural, economic and social sectors”. For more information and the latest updates on ‘L-Aħħar Festa: Valletta 2018 Official Closing’, follow Valletta 2018 on Facebook.